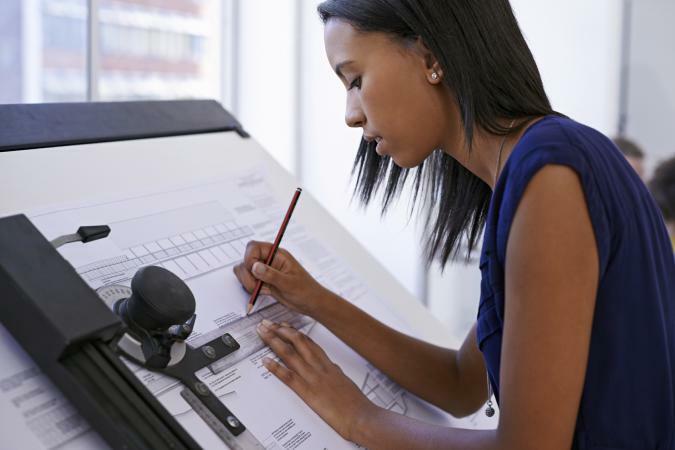 What are the best jobs with good visual and spatial skills? Visual and spatial thinkers have much to offer employers, and some careers provide opportunities to build on these important skills. Spatial intelligence is one of the eight multiple intelligences developed by Dr. Howard Gardner. Gardner's theory is that people have individual intelligence profiles based on their strengths and their tendencies to learn better through certain parts of the brain. Those who have spatial intelligence may tend to learn visually, and may tend to think in pictures. Some may exchange "spatial learner" with "visual learner" and while there is a strong connection, spatial visual skills and spatial skills are distinct. A person with exceptional spatial skills is able to picture shapes in the mind without seeing them. These types of intelligence naturally translates well into certain career fields. The best jobs with good visual and spatial skills encourage the individual to use his or her strengths. Tasks that require visual mapping, imagination and spatial awareness are ideal. Consider some of the following career fields in relation to spatial intelligence. A landscape architect is able to visualize the completed project before drawing out a plan on paper. The job requires the ability to create a map with accurate distances figured into the plans while taking issues like drainage, sunlight and soil conditions into consideration. Visualizing the uses for the space is an important aspect of the job as the landscape architect creates an aesthetically pleasing area that is practical. A graphic designer is able to translate a message into sharp images that drive the point across to the viewer quickly. This requires the ability to turn words into pictures without clutter or confusion. Photography careers require more than taking great pictures. Like graphic artists, photographers have the skill necessary to tell a story with images. Spatial relationships and visual composition take a special talent that harnesses spatial and visual skills. Professional pictures convey messages in articles, solve communication problems for businesses and capture personalities in portraits. Jobs for people with excellent visual and spatial skills include careers in the field of physics and astronomy. Physicists are designers who create experiments that explore forces of nature. Some physicists study and test theories while others apply their knowledge to developing new devices and equipment. Astronomers work in what some consider to be a subfield of physics, the exploration of the universe. These professionals may apply their knowledge to solve problems in space flight, navigation and satellite communication. Careers in physics and astronomy typically require advanced degrees and much competition exists for research positions in these fields, according to the Bureau of Labor Statistics. Those interested in physics and astronomy may find great success in careers in technology and engineering. CNC programming jobs require the ability to visualize how components of a machine work. This professional creates programs that allow machines to operate on their own, making manual manipulation unnecessary. Reading technical drawings and translating them into a productive, working unit requires visual and spatial skills. People with strong visual and spatial skills may also have other skills that can determine the best career choices. For example, spatial intelligence may be paired with interpersonal intelligence. A career in counseling, therapy or teaching may be good choices for this combination. Taking a career test can help you find a job that suits your way of relating to the world.